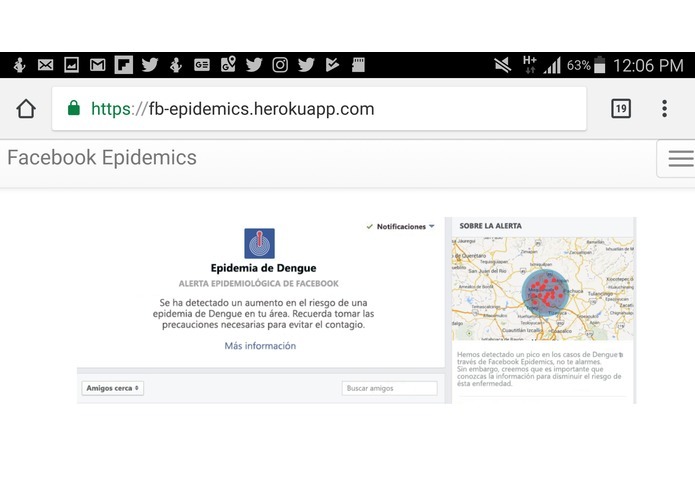 Facebook epidemics connects health organizations in vulnerable areas through Facebook SDK, allowing them to post everytime they encounter a suspected case of Dengue, each case data Is anonimized and linked to a gps location. 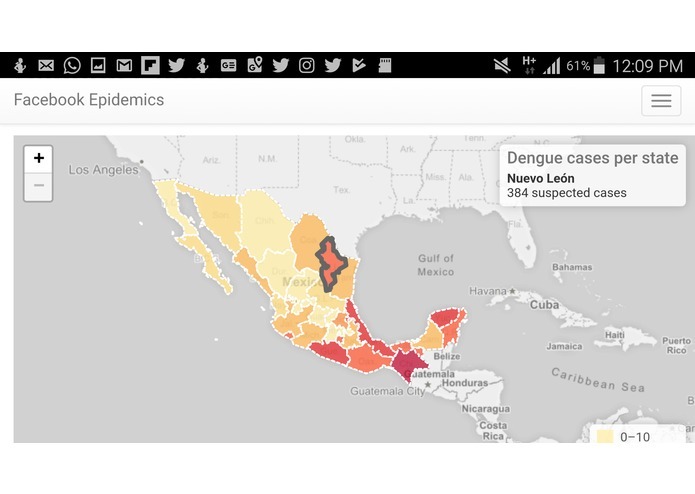 Researchers and health organizations around the world can access this information in real time to be able to react quickly in the brink or an epidemic. 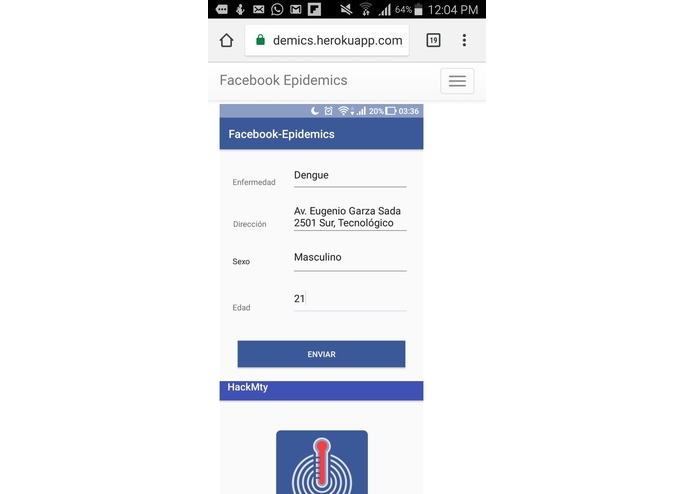 Using Facebook-Prophet, which allows time-series predictions, we can predict Dengue outbreaks and notify users living near vulnerable areas so they can take precautions to minimize their risk of contracting the disease. Handling time was our biggest problem, we posted this entry almost at the last minute! Database design, how to develop a product in a short amount of time.